Motorola's flagship devices still get updates relatively quickly, but its budget phones lag behind quite a bit. 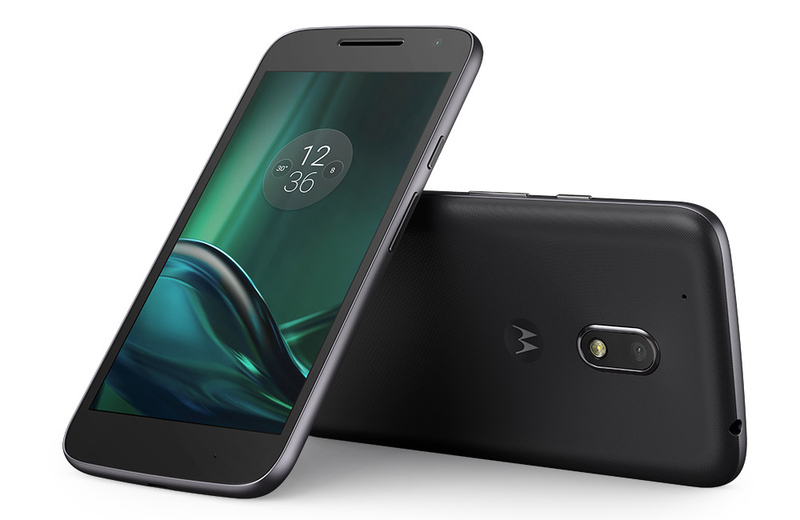 For example, the Verizon Moto G4 Play was just updated from Android 6.0 to 7.1.1 earlier this month, shortly after the international variants received it. Now Motorola has released the kernel source code for the G4 Play's Nougat update. Motorola's excellent track record with updating devices fell by the wayside as it became part of Lenovo and started releasing more device variants than anyone can keep track of each year. Nothing is better proof of that than the Moto G4 Play's situation. The device, which was released on September of 2016, has been stuck on Marshmallow 6.0.1 for months and months as owners gave up on even getting an update. Then the unlocked international variant started getting Android 7.1.1 last month and now the Verizon one is following suit. Android 7.1.1 is rolling out in an OTA to the Verizon Moto G4 Play and it takes the device from build MPIS24.241-2.35-1-17 to NPI26.48-38. B&H is running a massive year-end sale right now, fittingly named the 'Mega Deal Zone.' 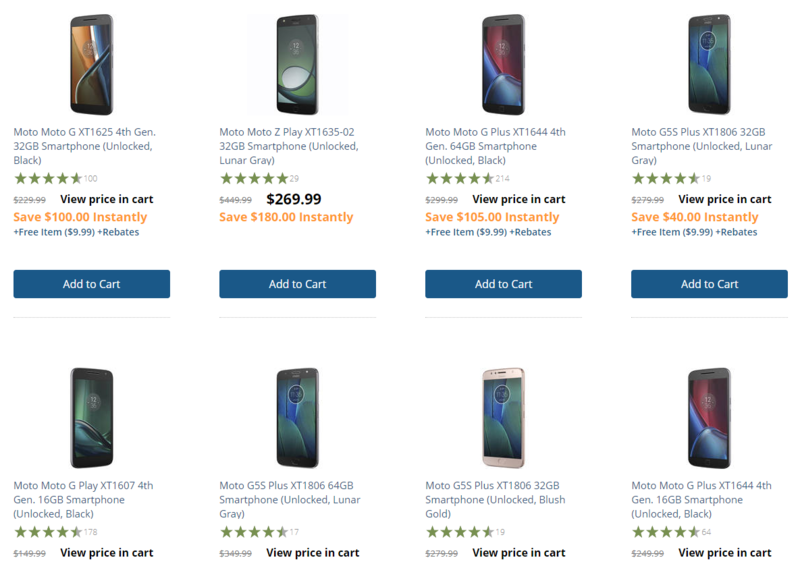 We already covered some of the offerings here, but there are also seven Motorola phones on sale. That includes the Moto G5S Plus, Moto G4, and last year's Moto Z Play. If there's one thing that Motorola consistently does well, it's budget phones. All three variants of the Moto G4 - the normal, Plus, and Play - were some of the best inexpensive phones on the market last year. Now that the Moto G5 is out, we've seen the G4 Play drop to $100 on occasion, and now it has happened again. We're fast approaching MWC with some of the major highlights of the event, like the Moto G5, seeing some serious leaks. Like I mentioned yesterday, good phones from last year should not be discounted simply because they're a year old. Such is the case with this returning deal here. 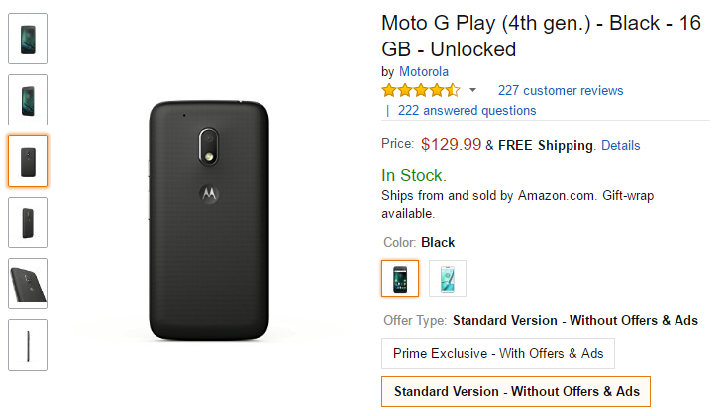 The Moto G4 Play is available for $99.99 from B&H with a promo code, a total savings of $50. The deals just keep coming in. This one is for the unlocked Moto G4 Play, a respectable little device. Usually clocking in at $150, B&H has it for $100 which is a nice 30% off. This covers both the black and white colors, but the latter is currently listed as "More Coming Soon." 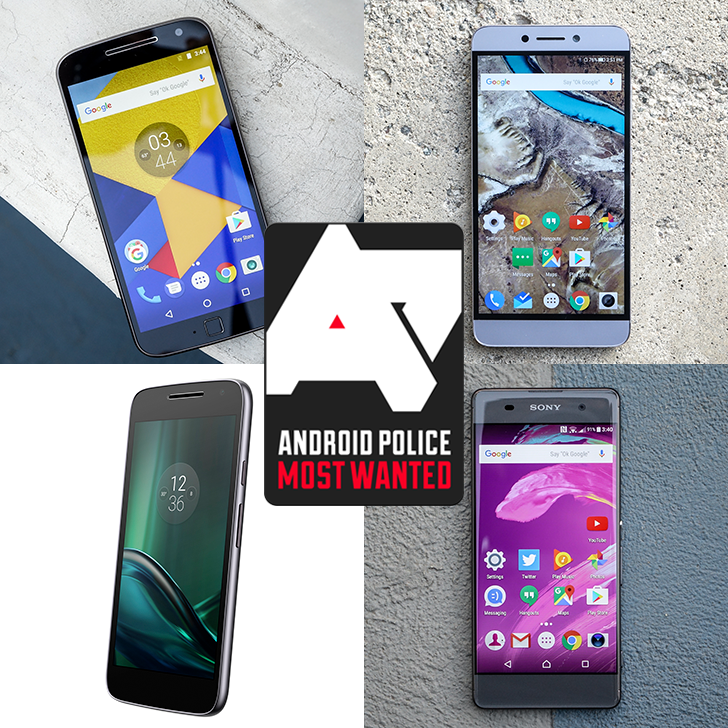 The budget smartphone segment in America seems to be a shrinking one of late (well, at least of good options), but we've rounded up the best we think the market has to offer consumers right now in the $250-and-under segment. The selected phones are presented in no particular order. The Moto G series has become something of a fixture of the mid-range and low-end Android market, thanks to a combination of competent hardware and clean software. That's no less true now that Motorola has gone modular with its flagship Z series - in fact, I'll bet that a few fans of the old Moto X models are moving down the line. 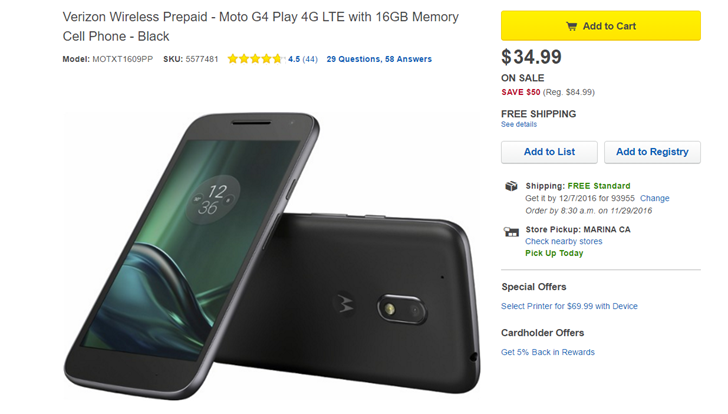 Today Best Buy is offering the Verizon prepaid Moto G4 Play, normally $85, for a jaw-dropping $34.99. You don't even have to buy any service to get the phone - nice! 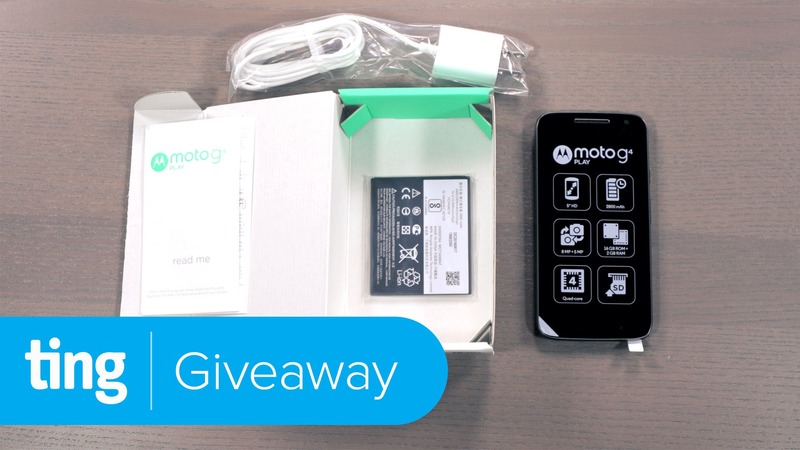 The Moto G4 Play is one of the most well-balanced budget handsets on the market right now, and we're giving away five of them in partnership with our friends at Ting today because Ting is awesome like that. If you're looking for a good phone under $150, Motorola's G4 Play is probably one of the best options. You get a Snapdragon 410 CPU, 2GB of RAM, expandable storage, a removable battery, and Android 6.0 Marshmallow (with Motorola promising Nougat soon). This is also one of the few phones in this price range that supports GSM and CDMA, meaning it works with all US carriers.